Hey there! If you haven't checked out our website you most likely haven't seen the stock murals and borders we offer! Each border (stock or custom) is sold per linear foot so it can be fitted to whatever length you need! 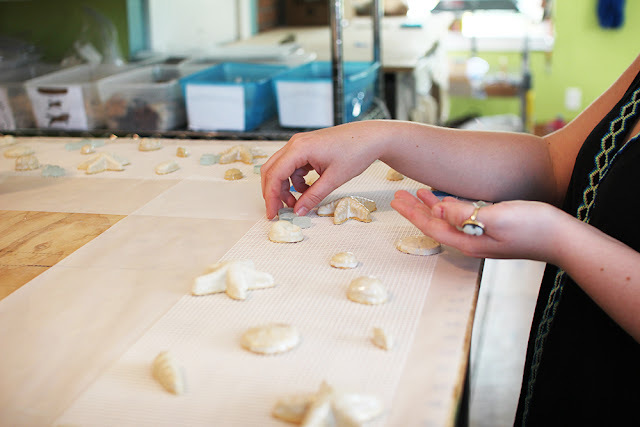 Today one of our artists is in the process of making an 8" Ocean Medley border in the 'tidal' colorway so we figured we'd show how it's made! Because all of our murals and borders are mesh-mounted, mesh is measured and cut to the appropriate size before anything else. Once the mesh is laid on the table our artists can begin placing the pieces. Each artist has their own technique but Karli prefers to place the ceramics first, glass second, and then fill in the empty spaces afterwords. 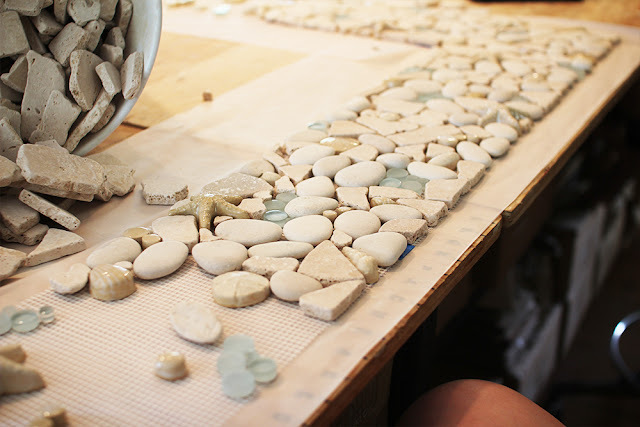 Once the artist has finished with the ceramic pieces and glass rounds, it is time to fill in any negative space with a mixture of pebbles and skipping stones. You can see that instead of filling in one section at a time, we try to do it in layers. By doing this it gives each border a natural look and takes away any seams that would show otherwise. Now unfortunately we can't show you the final product because we have to ship it off and it needs to be installed, but here is a shot of the Ocean Medley border grouted and cleaned! Could you see the Ocean Medley border somewhere in your home? How about any of our other borders? 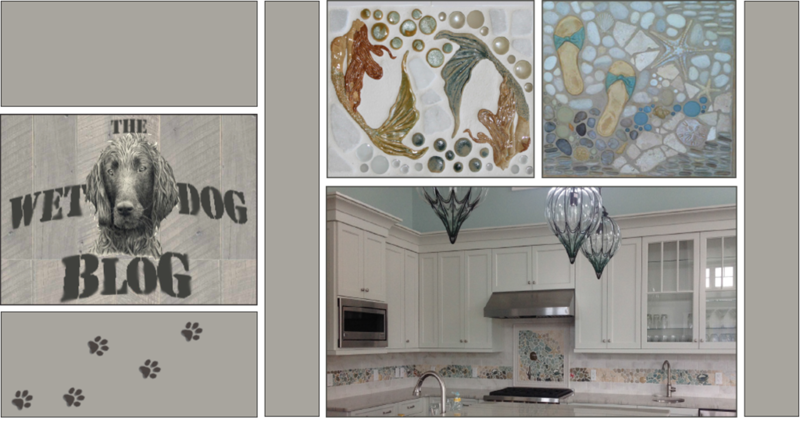 Check out the Wet Dog Tile Co website and get inspired! Everybody seems to be busier these days. The pace of life has increased up to a new height. Consequently people are willing to pay for services such as house cleaners to carry out everyday Can You Use a Steam Mop on a Carpet?.